Qi Baishi's "Twelve Landscape Screens" is on display at the Poly Culture Art Center until Oct. 12. A Chinese panel painting valued at over US$100 million is on display in Vancouver, along with 67 jade carvings dating back through the last 1,000 years. 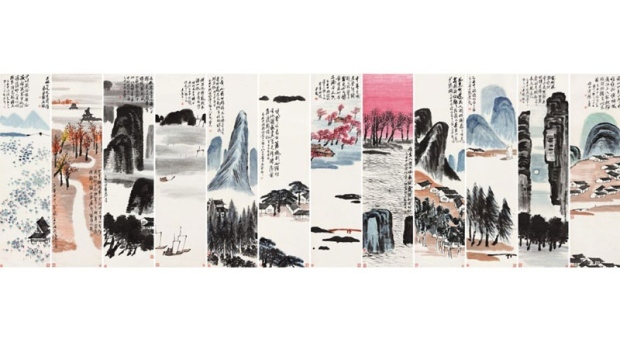 Qi Baishi’s famous 1925 painted panels, “Twelve Landscape Screens,” are on display as part of the Chinese Painting Exhibition at the Poly Culture Art Center. Baishi was an influential Chinese painter who died in 1954. He was 62 years old when he painted the 1.8 metre vertical scroll that is considered one of his most expressive pieces. Three other panel paintings are on display along with the Chinese Jade through the Ages Exhibition, which is showing jade carvings from the Song Dynasty through to pieces from the Qing Dynasty. The carvings, one of which is valued at $1.5 million, were gathered from Chinese collectors and represented by the Beijing Poly Art Center. 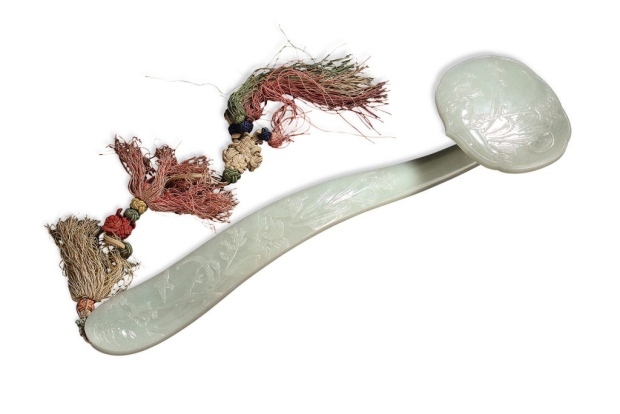 “More and more Chinese people live in Vancouver so we want to introduce Chinese jade to them,” Chen Lian Yong, Chinese art expert and appraiser told CTV News. In each dynasty, the emperor would have had studios filled with artists working on pieces to decorate and furnish the palace. Countless artists and carvers would have worked on each item over a one to two-year span. The panel paintings are on display now until Oct. 12 and the carvings will be on display until Dec. 2.